For a while now we’ve been teaming up with our friends at Picturehouse to bring regular animation programmes to cinema’s youngest audiences at Kids' Club screenings throughout the UK. It's part of our day-to-day activity as a festival - to collect animated shorts from all over the world in all sorts of animation styles and techniques. And for Kids' Club we set aside the ones that we know will work best for our younger audiences. It's a wonderful opportunity to share the wealth of animation that we get to see everyday with the next generation of film fans, films buffs and filmmakers. One of the best bits of the job, is getting to hear what the children really think in our Vote & Review forms, which are handed out (by amazing Picturehouse staff) at every screening. 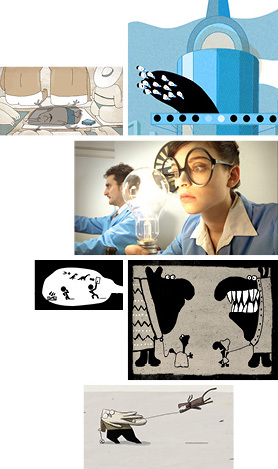 LIAF screenings at Picturehouse Kids' Club are for children aged 7+ and tickets are £2 each. No adult unaccompanied by a child will be admitted.